The Eleaf iKuun i200 Kit consists of a iKuun i200 Mod and a Melo 4 Atomizer. The iKuun i200 Mod is the built-in 4600mAh battery, and Melo 4 tank is 2ml(TPD version) and 4.5ml(Standard version). 200W maximum output power and six colors are available: Black, Blue, Green, Red, Silver and White. The Eleaf iKuun i200 TC Kit gives you a great vaping experience. 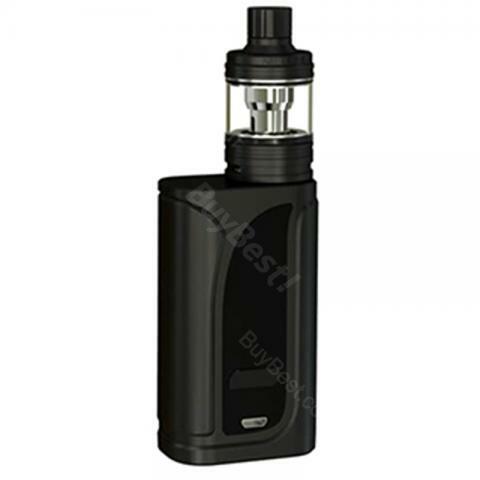 The Eleaf iKuun i200 Kit is made of a iKuun i200 Mod and a Melo 4 Atomizer. The iKuun i200 Mod is the built-in 4600mAh battery mod and Melo 4 Atomizer has two version: TPD version and standard version. The TPD version of melo 4 tank is 22mm diameter with 2ml e-juice capacity, and the Standard version is 25mm diameter with 4.5ml e-juice capacity. The iKunn i200 mod features retractable top-fill design and the Melo 4 atomizer features 2A Quick Charge Capability. The kit maximum output wattage is 200W and the New EC2 Series Coils is great for amazing flavor and vapor production. Also, the Eleaf iKuun i200 Kit supports VW/TC(Ni/Ti/SS)/ TCR(M1/M2/M3) modes, as well as firmware upgradable. Please try this kit to enjoy vaping here. I have tried my iKuun i200 kit for several days. It can produce massive clouds, very impressed. Only the battery seems to drain a little fast. You need to charge it regularly. I think iKuun i200 is far better than i80 kit. It is more compact and not very heavy. Melo 4 is very easy to fill. It is a good kit. I am a sub ohm tank lover. The Melo 4 gives you wonderful experience. The power is durable. I love to use the pre-installed .3ohm coil at 60 watts. It really produce big clouds. iKuun i200 is a relatively good kit in consideration of its cheap price. It has many functions, basically all main function included. So you can treat it as a learning tool to vaping community. I purchased my iKuun i200 with Melo 4 last month and the package came so quickly. All looks good. I hope I could quit cigarette soon.